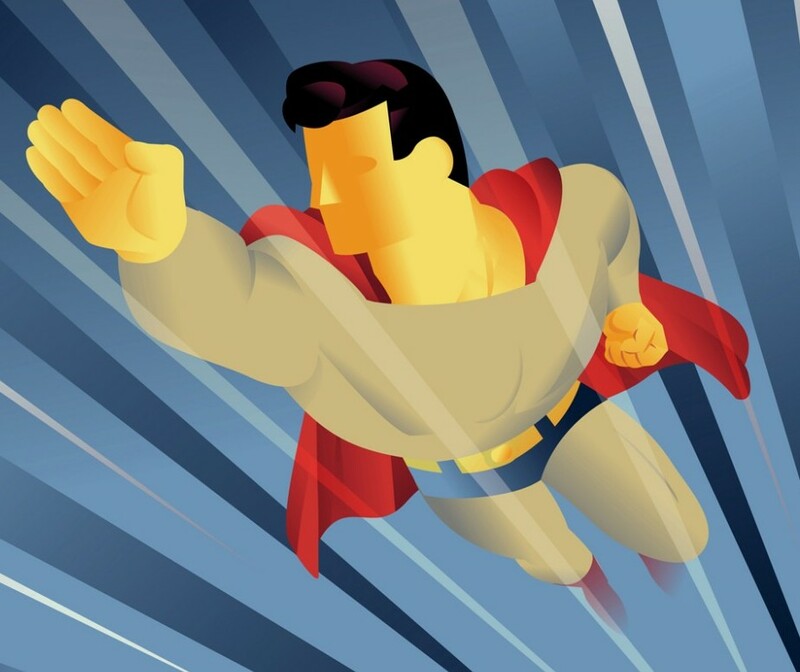 teachers – Teach Like a Superhero! The new Avengers: Infinity War trailer came out and is already setting records, as you can read in this Forbes article. Putting Captain America’s beard aside, I’d say the most exciting element of the trailer is NOT the big battles or bad guys. Sure, we get Thanos and multiple fights. But the BEST part is seeing how all these heroes work with each other. It’s Bucky! Black (Blonde?) Widow! Cap (and his beard)! Hulk! War Machine! Falcon! Black Panther and a whole bunch of Wakandans! The last time movie-goers saw most of these characters, they were arguing and battling each other. But all it takes to make amends is a world-conquering villain. That’s friendship for ya. If you’ve paid attention to recent superhero movies, the theme of FRIENDS appears quite often. No, not THAT theme . . . apologies . . .
We mean REAL friends. To remove the “ear-worm” song from above, take a closer look at the following trailers of current movies. Start with Thor: Ragnarok . . .
Thor’s “friend from work” comment at the 1:20 mark is one of the best lines in the entire film. Or check out this Justice League trailer and listen around 1:50 for Barry Allen/Flash’s awkward “I need friends” admittance to Bruce Wayne. Everyone needs friends, and that includes TEACHERS. Unfortunately, teaching can quickly become an “isolated profession,” and you can read more about this “Lone Ranger” phenomenon in an article by The Atlantic HERE. A growing research field focuses on teacher collaboration and how to help educators work together. Some people consider teacher collaboration as the “missing link” in successful school reform. School and teacher factors influence the quality and type of collaboration. Teachers in elementary schools, more so than in secondary schools, collaborated more frequently about instruction. Higher-quality collaboration is more common among female teachers than male teachers, particularly about instructional strategies, curriculum, and assessment. There’s a lot to unpack in that last statement about influential factors for successful collaborations. This is the challenge of teacher teamwork. You can’t force friendship, and you can’t coerce teachers to collaborate. As these studies show, effective collaboration requires meaningful application and multiple nuances to result in teacher buy-in and worthwhile work. As with most interpersonal relationships, the process is delicate and sometimes messy. Just consider how well superheroes get along (or not) throughout their long history. There is no one-size-fits-all approach to helping each other get along and collaborate. Even so, here are three resources (and highlights) that could help. By sharing work products on Google Drive . . . teachers know what their colleagues outside of their collaboration group are doing. They also know how they’re doing it. This enables them to replicate and/or get ideas from each other. The above ideas are not as “scholarly” as the research studies shared earlier. But they can still provide useful steps. At the least, none of these education offerings require a world-conquering villain. Be thankful for that! The next BIG superhero movie coming to theaters is The LEGO Batman Movie! What makes this video clip special is it is the first time DC superheroes from the CW TV channel (Green Arrow, Flash, Supergirl, The Atom) have merged with a DC superhero from the movies (Batman). Actually there’s been a lot of chatter among fans, critics, and industry reporters about the pros, cons, and possibilities of merging film and TV-based superheroes. These are characters that come from the same comic book universe, but are featured in separate media outlets–theatrical, broadcast television, or streaming. DC, for example, has Batman, Superman, and Wonder Woman dedicated to film, along with other heavy hitters from the Justice League (Green Lantern, Aquaman, Flash). This gets problematic, however, since The Flash also stars in his own television show on the CW (as do Green Arrow and Supergirl, who has also met a TV version of Superman). Confused? You’re not the only one, and some people argue these two “universes” should stay separate (see here and here). Others think there could be a way to have a crossover of sorts between TV and Film (read more here). More intermingling makes sense for Marvel superheroes, since theoretically, many of these characters actually DO live in a single universe shared between the movies (Avengers, etc.) and television shows (Agents of SHIELD, Agent Carter, Daredevil, Luke Cage, etc.). Some people claim Marvel could and should have film and TV shows cross over. Others point out that such an event would still be a monumental and unwanted task. And that’s not even dealing with different Marvel heroes contracted out to different movie studios (e.g. X-Men/Fantastic Four with 20th Century Fox, although Wolverine actor Hugh Jackman said he’s happy to meet the Avengers sometime). Sorry, Wolverine. No shirt, no crossover. While not requiring millions of dollars, the habit of teachers collaborating can also seem like a difficult ordeal. But it’s worth it, with research finding higher student achievement in schools with higher levels of teacher collaboration. We’ve talked before about teachers getting along with other teachers and here’s another resource with useful teacher collaboration ideas, including virtual tools, co-planning, scheduling, and more. And let’s take a closer look at teachers from different universes (i.e. different grade levels). The Teacher Channel’s blog “Tchers’ Voice” shares commentary on learning from teachers of different grades. The blog post is called “Pathway to Collaboration,” and it’s just the tip of the iceberg. Challenge yourself to find new ways to team up and learn with colleagues in your building, district, and beyond. I’ll conclude with examples of insight gained and projects accomplished when my world collided with those of other teachers. A fourth grade teacher who showed me all kinds of management techniques and student jobs that I could also apply in my high school classroom. A middle school science teacher who collaborated with me to successfully submit a grant for highway safety physics curriculum. A business teacher who modeled practical classroom procedures for high school seniors, giving flexibility and freedom to young adults weeks away from graduating. And several more colleagues, mentors, current and former students co-presenting and co-publishing academic work. No movies or television projects yet, but maybe someday.